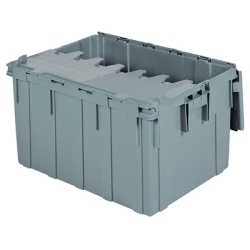 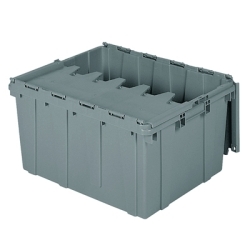 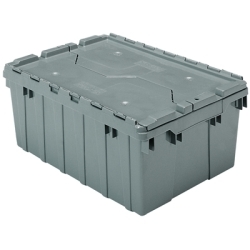 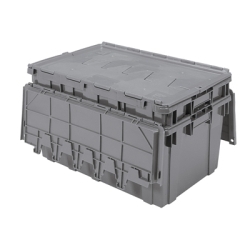 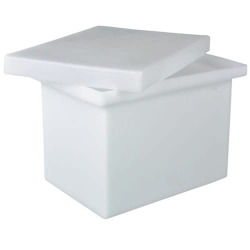 21-1/2" L x 15" W x 12-1/2" H OD Gray Akro-Mils® Attached Lid Container | U.S. 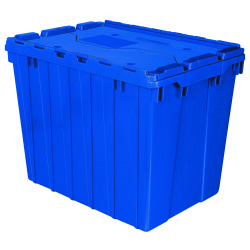 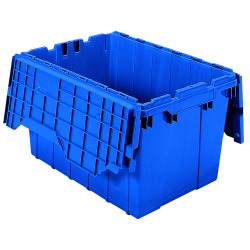 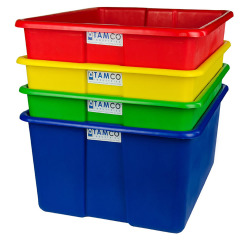 Plastic Corp.
Reusable shipping, distribution and storage containers. 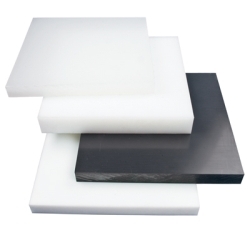 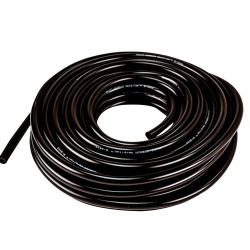 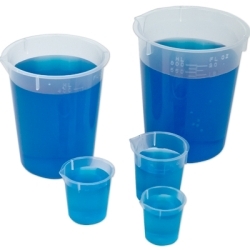 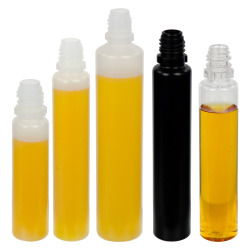 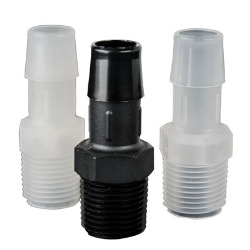 ALC's are ideal for use in order picking, closed-loop distribution, and storage applications. 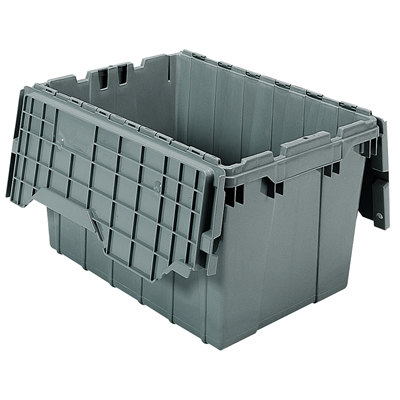 Industrial-grade reusable containers stack to maximize storage, and nest when empty to save space. 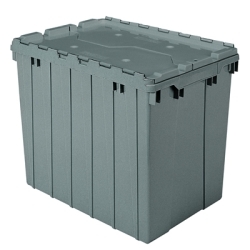 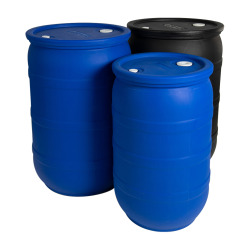 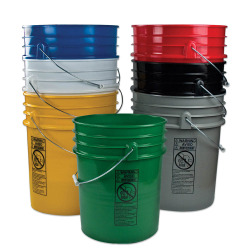 Capacity: 12 Gallon/1.62 Cubic Ft.